Together, we collect and share 'ike and mana'o (knowledge and ideas), coordinate advocacy and education efforts, and use time and resources more efficiently. 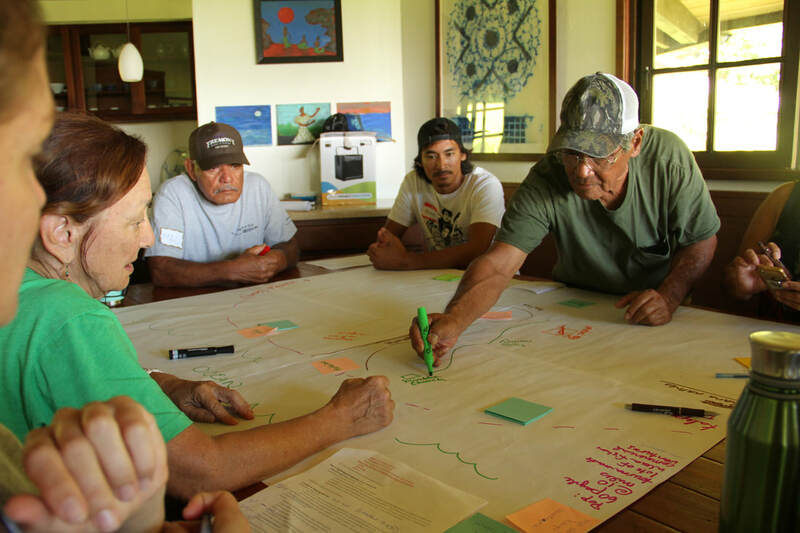 The Maui Nui Makai Network has achieved great things since its beginning in 2013 as the first community-based marine conservation network in Maui Nui. Our mission is to connect communities across Maui Nui to care for and restore healthy ecosystems on which Hawai'i's people depend, and the Network is a reminder that each group working hard in their own communities is creating big changes collectively. Our purpose is to share and learn from our diverse experiences, lessons, and best practices to help member sites mālama (care for) specific makai (seaward) areas. 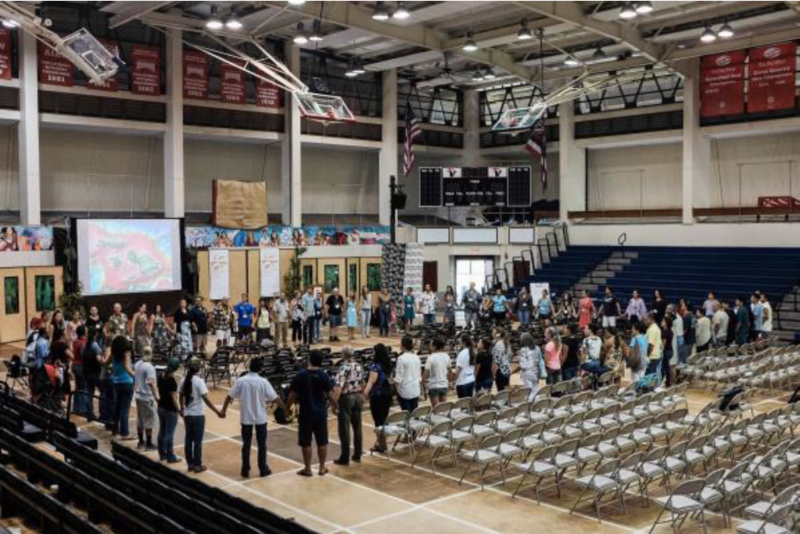 Collectively, we have reached over 600 people through outreach efforts that share our messages of mālama 'āina. Together we have hosted over 15 trainings and workshops to empower community and place-based management. To encourage each other to keep up the good work, Network members meet at least two times per year around February and September. ​Learn more about our mission and partnership, highlights in the media, and Helpful Tools developed and utilized by the Network. Our motto is “Paepae a ola”, which means encourage and live ‒ encourage each other to sustain the relationships within our communities and with the land and sea - those are the relationships that we need to thrive . Our vision is to see our relationship restored to both land and sea as we reach across communities and generations to enhance our strength through diversity. We envision that the land and sea are healthy and productive and our actions are consistent with with ahupua'a (ridge to reef) stewardship practices and supported by the best of scientific insight. Together we commit to provide a legacy of ecosystem health and food security for future generations through education and 'āina restoration. 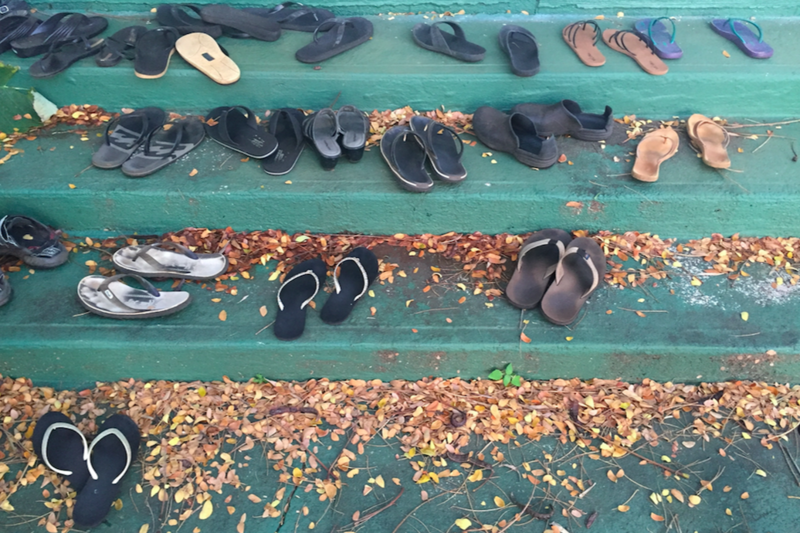 We are motivated by our love for our island home and actively and purposefully support community-driven efforts to mālama 'āina (care for the earth) under the direction of nā kūpuna (our elders) and other knowledgable community members. With humility, we put fish first to ensure that ka pae 'āina (the Hawaiian archipelago) will return to abundance during our lifetime and for future generations. 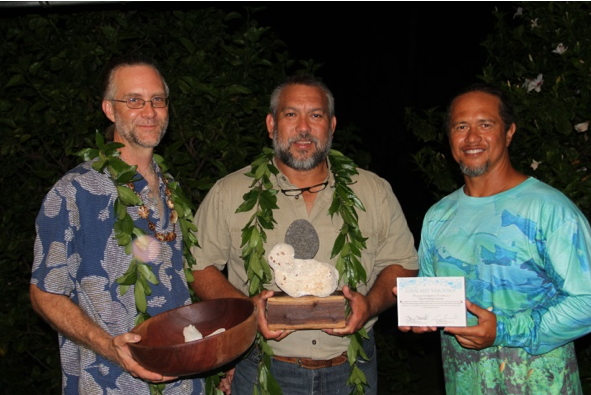 To see the Maui Nui Makai Network's Partnership Agreement signed in February 2013, click here. 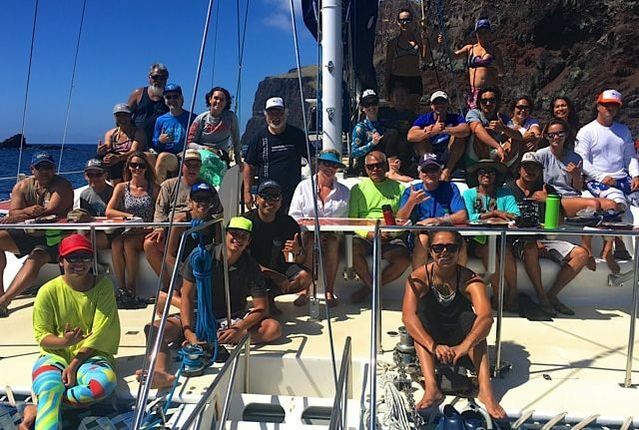 In 2013, Hōkūle‘a and Hikianalia set sail on the Mālama Honua Worldwide Voyage to highlight diverse global cultural and natural treasures and the importance of working together to protect them. As part of this journey, individuals and organizations throughout Hawai‘i signed the Promise to Pae‘āina, a pledge to increase the health of Hawai‘i’s oceans by the return of the wa‘a (canoe) in 2017. 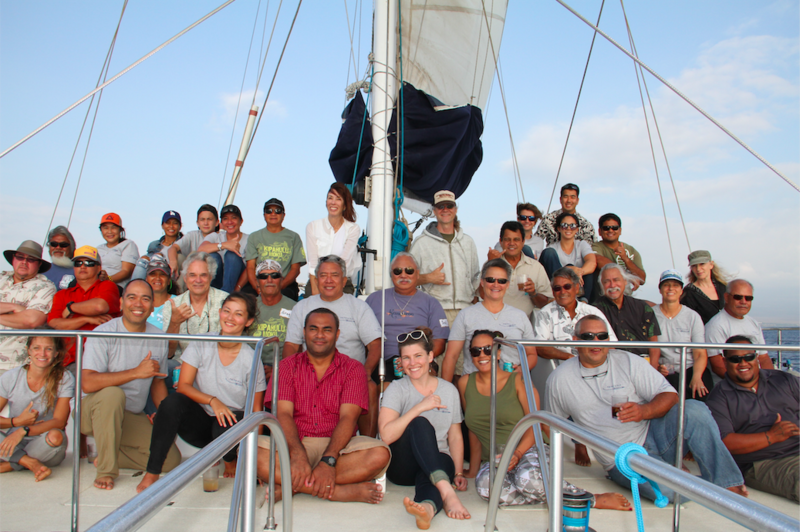 Through their strong connections to each other and their places, in July 2014, the Maui Nui Makai Network pledged to help protect, restore, and conserve marine resources around Maui Nui. Take a moment to explore significant mile-stones for the Network since it's establishment in 2013. 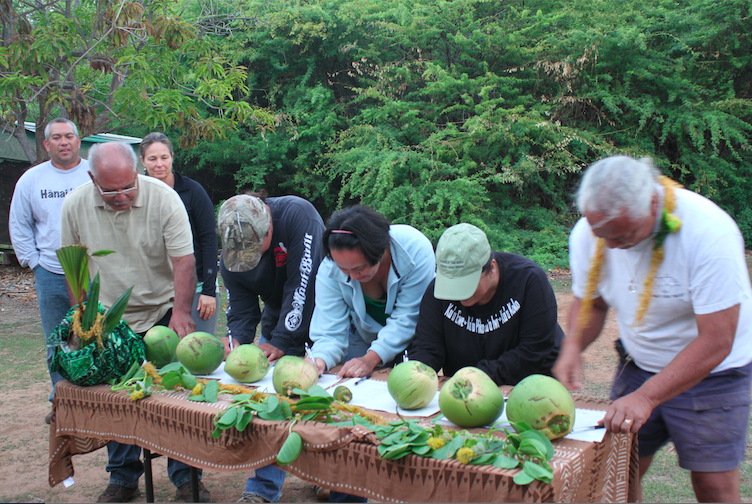 2013, February 22-23 A meeting was held for the original 6 Alaka'i and 2 Kāko'o Members to form and join the Network! 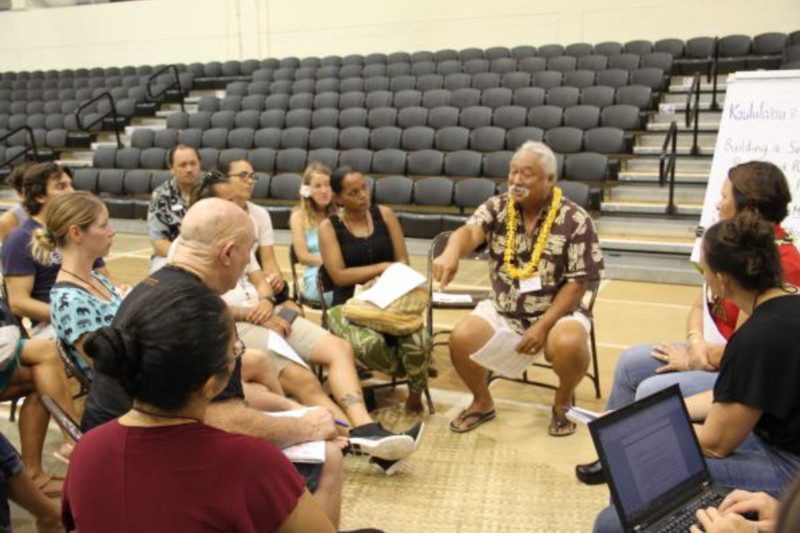 40 people attended this event on Lāna'i, where six Maui Nui community groups signed an agreement to establish a learning network similar to the Locally Managed Marine Area Network in the Western Pacific. 2013, September 6-8 A meeting was held to discuss the governance structure for the newly formed Network, undergo a strategic communications training and workshop, and select chairpersons from each community group to lead the Network group each year. The first community group chosen to lead the Network was Polanui Hiu! 2014, February 21-23 Polanui Hiu hosted a Network Meeting at Polanui, Maui for Network Members and guests. 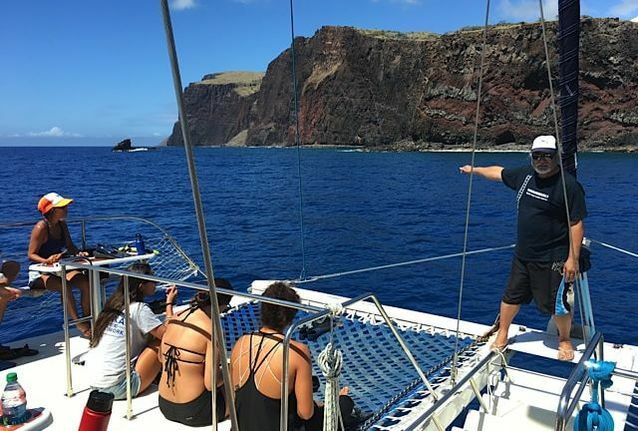 Activities included water quality testing, fish surveys, building manini hale (rock houses for fish aggregation), and exploring the connection between resources, management efforts, stories and traditions from mauka to makai (mountains to the sea). 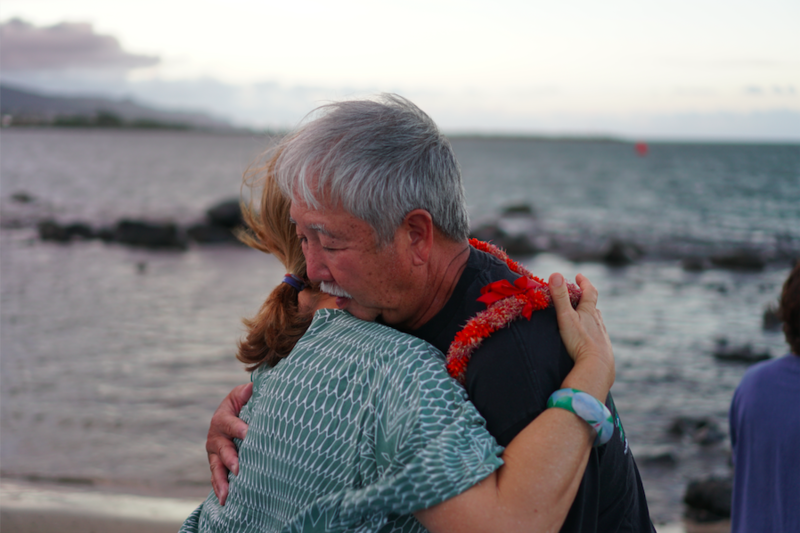 2014, July 16 Network Members attended the 2014 Hawai'i Conservation Conference where they made their Promise to Pae'āina to members of the Hōkūleʻa’s Mālama Honua Worldwide Voyage in a Kai Ceremony. 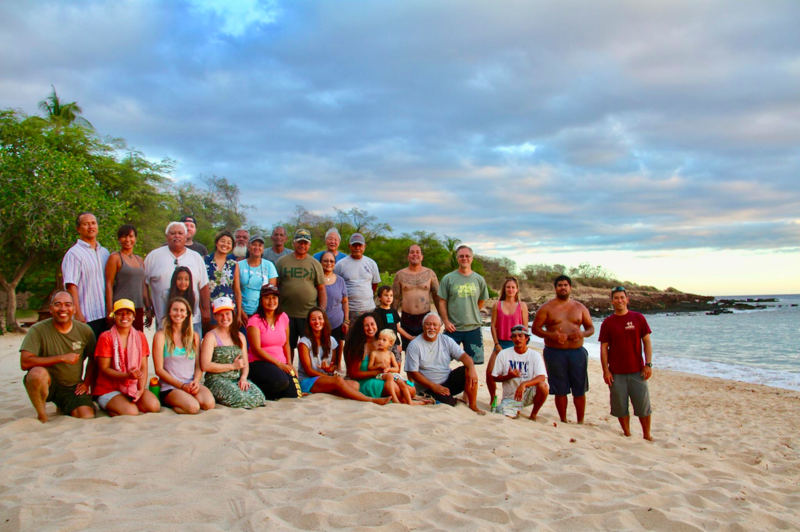 Each community group brought kai (ocean water) from their home to pour together showing their connectedness and commitment to community-led marine management with the goal of a return to abundance. 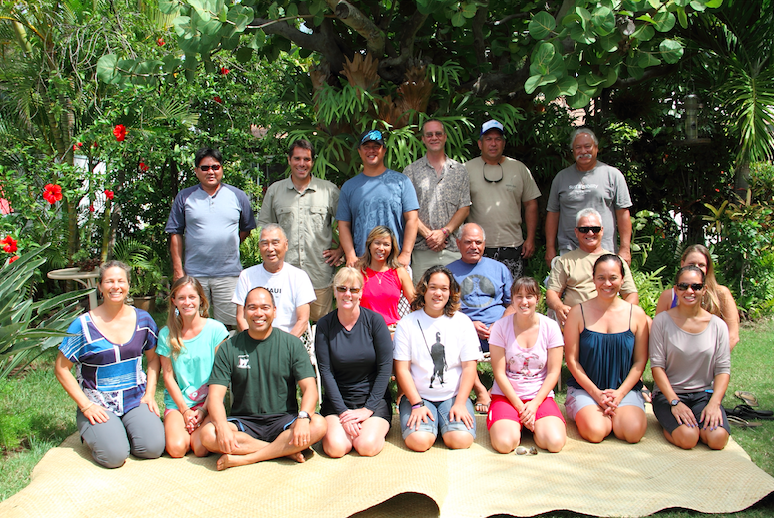 2014, September 11-14 Polanui Hiu hosted a Network Meeting at Camp Olowalu on Maui for Network Members and guests including Ron Vave of the Fiji Locally Managed Marine Area network, Dr. Peter Adler of the Accord Group, and Erin Zanre of DAR. The group learned about best practices for data management and sharing, community engagement, and Community-Based Subsistence Fishing Areas. Leadership for the Network was passed to Nā Mamo O Mū'olea. 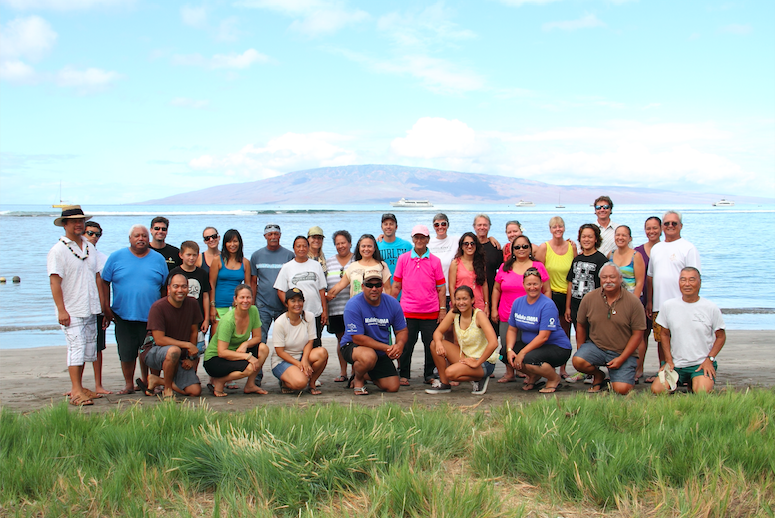 2015, February 27-March 1 Nā Mamo O Mū'olea hosted a Network Meeting in Hāna, Maui for Network Members and guests. 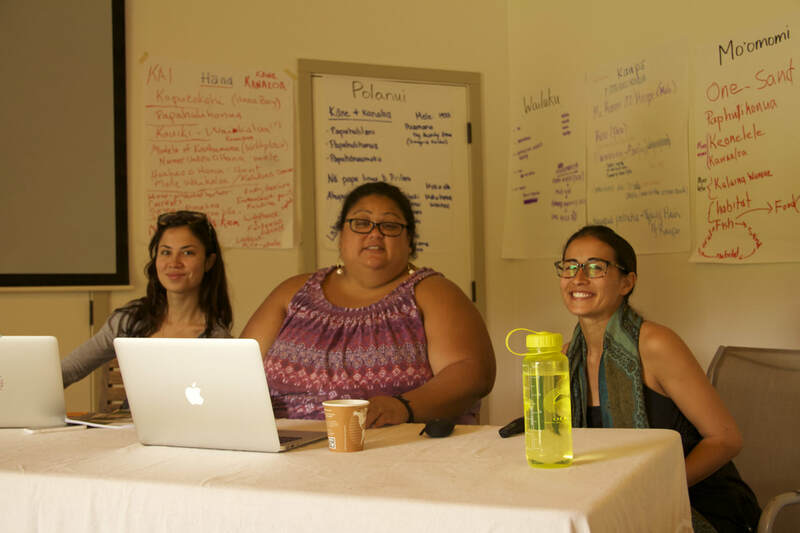 The objectives of the meeting were to learn about Native Hawaiian Rights Law from Professor Malia Akutagawa, Shae Kamaka'ala and Khara Jabola-Carolus from UH, reflect on the culture and history of Mū‘olea and efforts to mālama Mū‘olea, and build relationships within the Hāna community. Check out some of our discussions from the meeting. 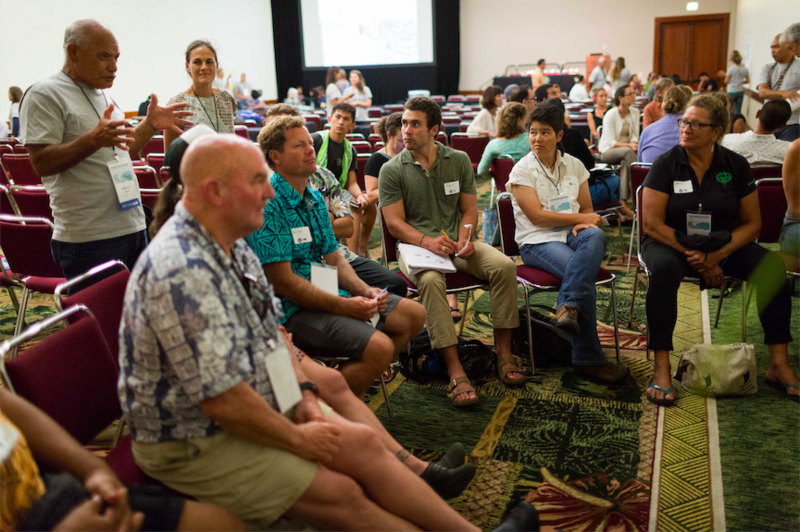 2015, August 6 The Network held a workshop at the Hawai'i Conservation Conference entitled Recapturing Kuleana: Community-Based Stewardship Tools to Rebuild our Collective Capacity to Mālama from Mauka to Makai. Representatives from the six Maui Nui communities led small talk-story groups where they shared challenges, lessons learned, and practical advice from their personal experiences​. 2016, March 28 The Network has a new logo! The inspiration for the design is the ʻupena, or thrownet. Depicted in the image is the piko, or center of the net. Extending outward are six maka, or eyes of the net, representing the six founding community members of the Network. 2016, April 1-3 Wailuku CMMA hosted a Network Meeting in Makawao, Maui for Network Members and guests from networks in West Hawaiʻi and Kauaʻi. The agenda included a session on collaborative resource management in Hawaiʻi with a panel of distinguished guests; DLNR Chair Suzanne Case, DAR Administrator Dr. Bruce Anderson, and TNC Hawaiʻi Executive Director Ulalia Woodside, and MNMN 2016 Chair Jay Carpio. 2016, September 23-25 Wailuku CMMA hosted a Network Meeting in Kahului, Maui for Network Members and guests. 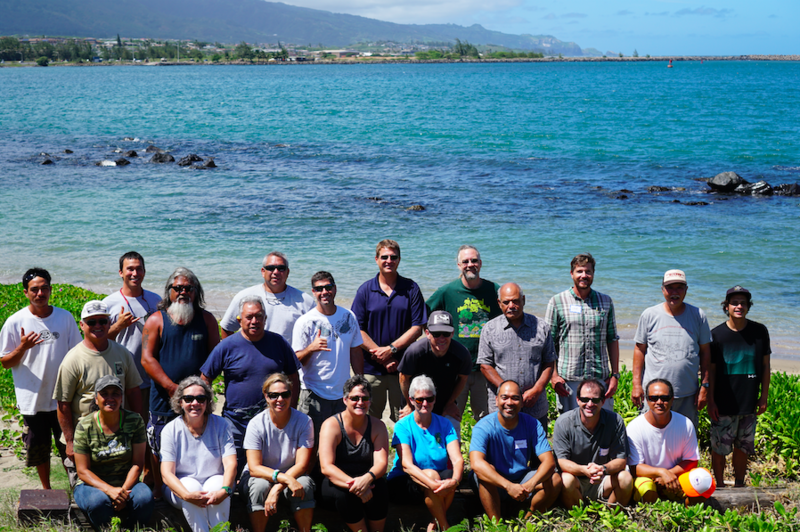 ​TNC’s Chad Wiggins led the group through a training: Utilizing Fish Ecology to Design Puʻuhonua, and Wally Ito of KUA led an out-planting of two native limu (algae) species that were formerly abundant in Kahului Harbor. 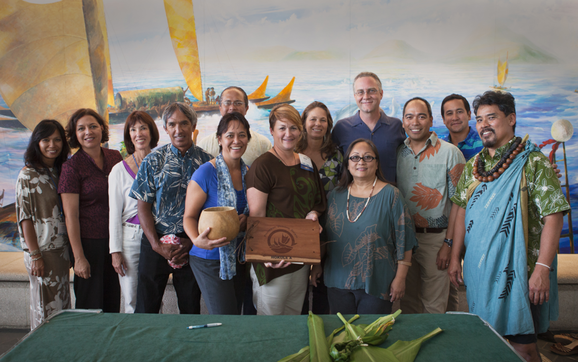 The Network welcomed KUA as a new Kāko'o Member, and leadership for the Network was passed to Maunalei Ahupua'a CMMA. 2017, March 3-5 Maunalei Ahupua'a CMMA hosted a Network Meeting on Lāna'i for Network Members and guests. This meeting focused on editing the Network's How-To Guide, a book developed to share the participatory planning tools of the Network. The guidebook will serve as a training document for other communities seeking to organize themselves for the purposes of advancing marine conservation. 2017, July 19 The Network held a workshop at the Hawai'i Conservation Conference entitled A Nuts and Bolts Approach to Community Organizing and Planning: The Maui Nui Network's How-To Guide for Makai Managed Area Success. The workshop took participants through 3 activities in the How-To Guide using a region on Moloka‘i as their example location, and small break-out groups identified threats to the marine resources and developed strategic actions for solutions. 2017, September 29-October 1 Maunalei Ahupua'a CMMA hosted a Network Meeting on Lāna'i for Network Members and guests. 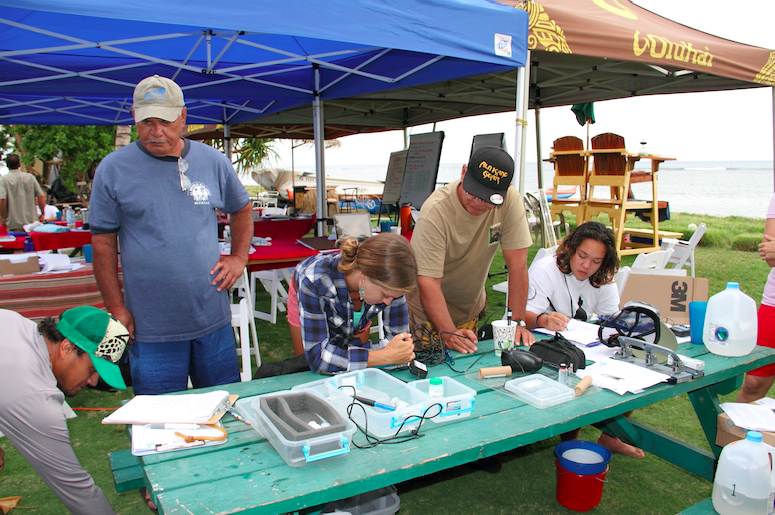 Participants enjoyed ‘opihi monitoring with Dr. Chris Bird from Texas A&M, a fish survey training at Hulopo‘e Beach, a “talk story” session with DAR about the Manele-Hulopo‘e MLCD and island-wide fishing rules, and a presentation from DOCARE about the Makai Watch Program. Leadership for the Network was passed to Kīpahulu 'Ohana. 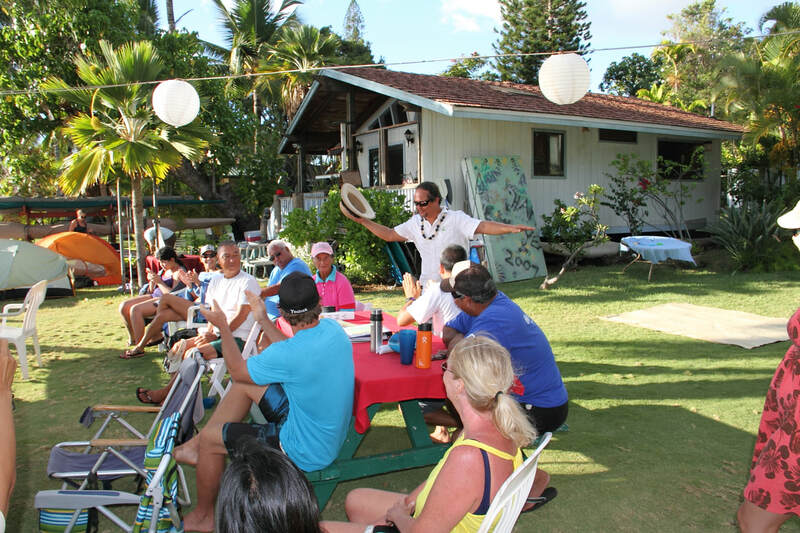 2018, March 30-April 1 Kipahulu Ohana hosted a Network Meeting in Kīpahulu, Maui for Network Members and guests, including the Kai Kuleana Network from West Hawai'i Island. This meeting focused on revisiting Network governance, visiting the 'opihi rest area within the National Park, working the lo'i at Kapahu Living Farm, and learning more about the state's 30x30 initiative from Anne Chung, the Marine 30x30 planner. 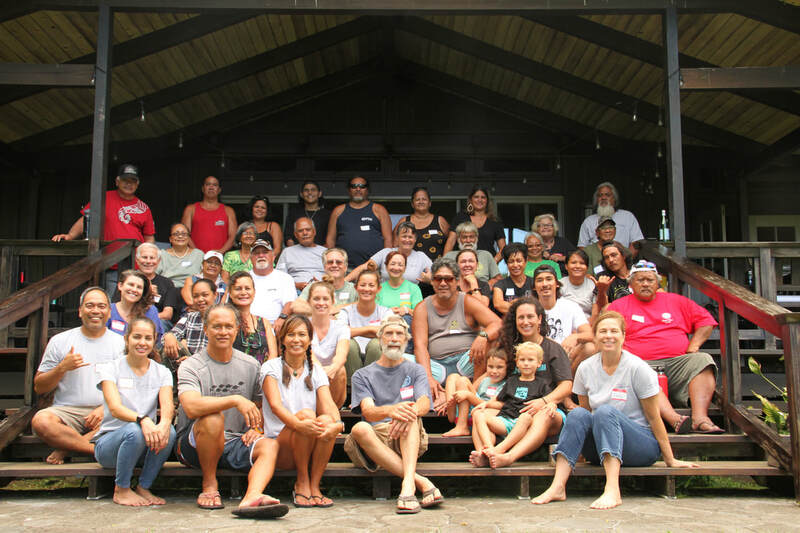 2018, September 7-9 Kipahulu Ohana hosted a Network Meeting in Kīpahulu, Maui for Network Members and guests, including East Maui communities. This meeting offered an informational walk along Maka'alae and a training workshop on facilitation tools useful for community planning and discussed how we can work together as a region. Leadership for the Network was passed to Hui Mālama O Mo'omomi. 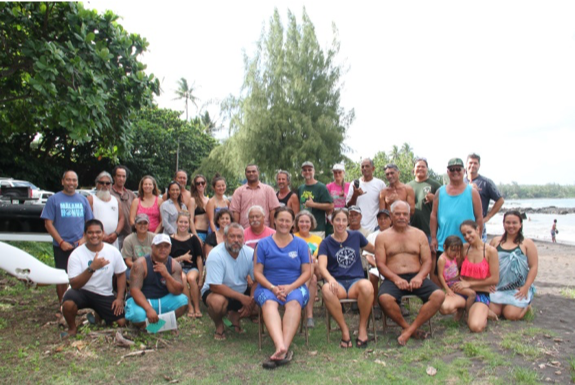 2018, March 8-10 Hui Mālama O Mo'omomi hosted a Network Meeting on Moloka'i at the Ali'i fishpond for Network Members and special guests, including Walter Ritte, Brad Stubbs, the State’s 30x30 Coordinator, Luna Kekoa, the State’s Community-Based Fishing Area Planner, Kehau Springer from Conservation International, and Supin Wongbusarakum, Social Scientist from NOAA. 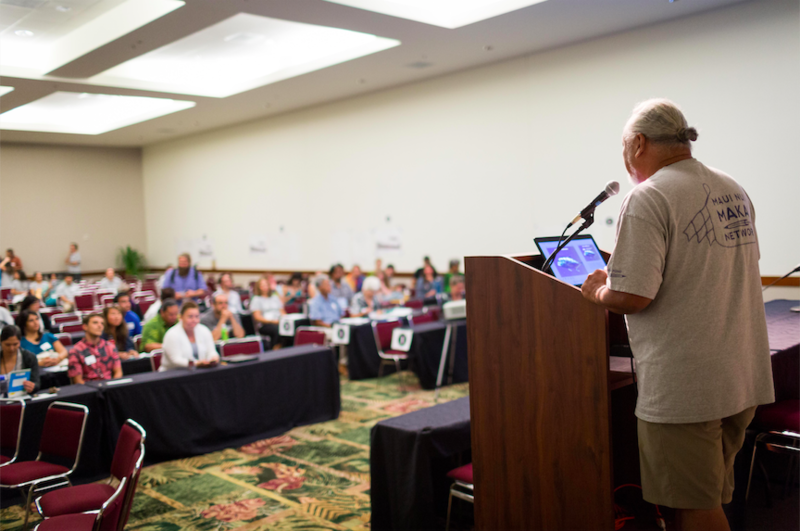 This meeting focused on learning from Hawaiian Scientists about Mo'omomi and Ka Honua Momona. The Maui Nui Makai Network is a nonprofit, tax-exempt organization under section 501(c)(3) of the Internal Revenue Code as of January 2016. To use any of the content from our website, please contact us.